Well, our PNG adventure is finally coming to an end. My (2nd) contract finishes up at the start of June, so myself, the wife and kids will be flying out of Moresby on the 2nd June. 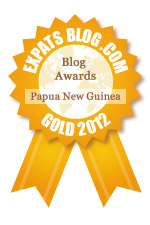 We’ve had a great time here in PNG, and I’m sure there will be a few tears shed by us as we depart. This blog won’t die though – I will actually have move time to post (hahaha) and with better connection to the web…. I think my blog needs a revamp too – I’ve been meaning to do it for some time, but just never gotten around to it, so whilst I am cafe surfing back in NZ, it will give me something to do.